I love this podcast and have been listening for years. Through her casual ramblings, you discover that she really understands why so many people struggle with keeping a tidy house. 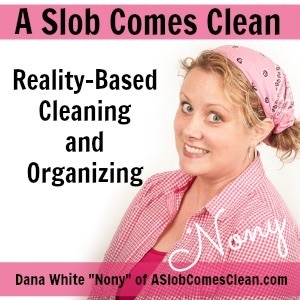 She has a plethora of strategies to help motivate anyone to clean. 193: How Much Christmas Can I Handle? 153: Decluttering – What Can and Can’t be Donated? 101 To Do Lists: Yes, No, or Maybe? 007 – Containers and Limits and How They’ll Change Your Life!